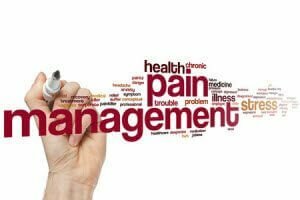 What Is Chiropractic Management Of Pain? Chiropractic management of pain is an alternative and natural form of healthcare that focuses on diagnosing and assessing health ailments that are related to the nervous and musculoskeletal systems. Typically, chiropractic care is focused on headaches, lumbar spine pain, joint pain, radiating pain and cervical spine pain, along with other symptoms. It is also concerned with the possible effects these ailments can have on a person’s health and well-being. A chiropractor is a specialized practitioner of healthcare that holds a doctorate level degree and is also licensed. However, there are some chiropractors that have a Master’s Degree. The curriculum that is studied includes different methods of training. These methods may include seminars, classes and clinical training. The clinical portion also includes assessment and diagnosis as well as chiropractic management of pain for conditions related to the musculoskeletal system. After their training is complete, chiropractors can provide patients with personalized treatment plans that are based on evidence and scientific studies. Rehab exercises and nutritional recommendations may also be included so treatment plans are for the whole person and not just the symptoms the body is exhibiting. Exercise and diet modifications can help to alleviate pain and other symptoms. The American Chiropractic Association (ACA) has defined the primary philosophy as providing patients with healthcare that is effective and high quality by using a combination of natural treatments and conservative interventions. Chiropractors place a great emphasis on the body’s ability to heal on its own after an injury, and it does not need any type of medical intervention. It is common for chiropractors to use a system approach for every patient. They believe that it is important to understand the function and the structure of the spine, and how it interacts with other systems in the body. Chiropractors are able to access many different types of treatments when patients have chronic pain. The most common type of therapy is spinal adjustment. Although there are many ways to define a spinal adjustment, chiropractors define is as procedures where the hands are directly placed on the body to treat soft tissues and articulations. Chronic pain and acute pain can not only be debilitating, it can also have a negative influence on a person’s daily activities. Chiropractic management of pain is a natural option for those who want a non-invasive treatment plan. Are you suffering with acute pain or chronic pain? Schedule an appointment with our office today.